This Halloween, The Hendon Horrors, Singapore’s first and only interactive and responsive murder mystery night adventure opens its doors. Step into the shoes of the Special Crimes Unit arriving at the scene. Discover the secrets of The Hendon Hotel. 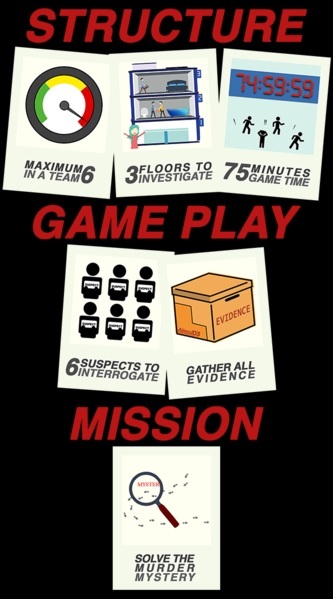 Explore the rooms and spaces to find all the clues, gather the evidence, interrogate the suspects to make sure the pieces fall into place and solve the crime in time. Are you ready to check in? Step into a colonial building built in 1935 to house the Royal Engineers. Over the years, it was used as a university, prison, commando camp & detention barracks! Both buildings (Block 33 and 42) are currently managed by Raintr33 Hotel. The entire grounds, including that of Old Changi Hospital, is one that is full of history. For safety reasons, the adventure takes place a safe distance (200m) from the main hospital building. Down the road from the hospital compound, Changi Revisited – The Hendon Horrors transforms one of the two buildings (Block 42) into the fictitious The Hendon Hotel. Built in 1981, The Hendon Hotel is complete with furniture and fixtures, all in the style of the 1980s. No more plastic bushes covered with ‘yellow and black’ tapes! Other than parts of the rooms that are there for security and safety reasons, you’re free to interact with anything. Changi Revisited transports investigators like you 35 years back in time to revisit Singapore in the 1980s. This experience is not like any other in Singapore because it is more than your typical escape room, and more than your typical Halloween night out. It’s a chance to play detective and solve a crime, amidst the ominous grounds of Old Changi Hospital and Changi Barracks. Looking for something different this Halloween? 5 suspects, 4 rooms, 3 levels, 2 disappearances, 1 mystery. 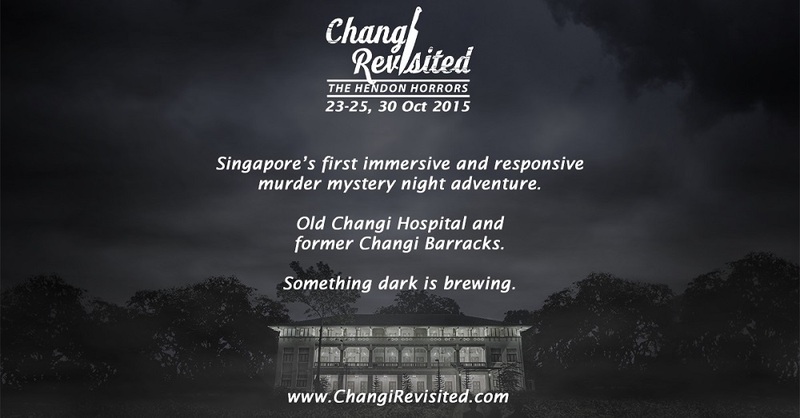 For further information and to buy event tickets, visit Changi Revisited website.